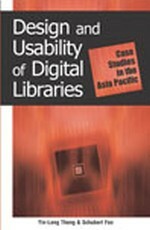 This chapter describes various technical and social issues in the development of the Indonesia’s National Digital Library Network (IndonesiaDLN). The success of the network was attributed to the use of the Protocol for Metadata Posting (PMP) to allow member institutions without a permanent Internet connection to join the digital library (DL) network, the use and distribution of open source software, and the application of the Network of Networks concept that motivated and permitted communities to develop their own DL networks that are integrated to the IndonesiaDLN. Such a network model and lessons learned should prove invaluable when shared with third-world or developing countries on similar journeys to develop national DLs.